How Much Does a Substance Abuse Counselor Make per Year? 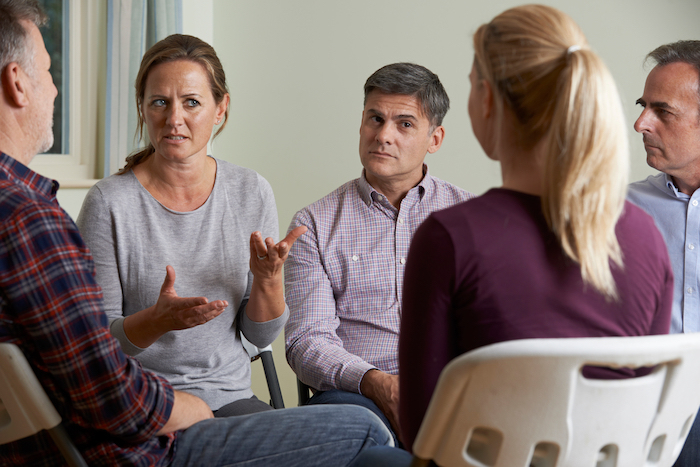 Substance abuse counselors treat people with addictions to such things as alcohol, drugs, and food to help them modify their behavior and recover from their addiction. In the US, substance abuse counselors earn more than $48,000 annually compared to C$49,000 ($38,429 USD) in Canada and £27,000 ($31,586 USD) in the UK. Those in Australia earn nearly AU$72,000 ($54,855 USD) per year and annual earnings in New Zealand exceed NZ$60,000 ($41,143 USD) while those in India and South Africa earn about Rs372,000 ($5,711 USD) and R192,000 ($13,467 USD), respectively, per year. You may be wondering how much you can earn as a substance abuse counselor, and this guide explores earning potential by geographic region, professional experience, and work setting. The chart below outlines annual salaries and hourly wages for substance abuse counselors across the globe. Geographic region, professional experience, and work setting are factors that affect earnings for substance abuse counselors. Read further for more information on the impact of these factors on salary ranges and how to enter this career. In the US, substance abuse counselors earn between more than $34,000 for entry level positions and more than $57,000 for senior level jobs. While the base salary averages more than $48,000, hourly earnings average $23. Bonus pay can add another $800 or more to overall income. In Canada, substance abuse counselors receive well over $49,000 per year, or $24 per hour, plus bonus pay that can add more than $800 to overall earnings. The average starting salary is about $35,000 per year while those in senior level positions receive nearly $59,000 annually. Substance abuse counselors in the UK see annual salaries that exceed £27,000 while hourly wage earners receive £13 per hour. Bonus income is light, but can add another £500 to overall earnings. Newly trained substance abuse counselors earn more than £19,000 per year while their senior level colleagues with the most experience earn an average annual salary of more than £32,000. Substance abuse counselors in Australia receive between AU$51,000 per year for entry level pay and AU$85,000 per year upon reaching a senior level position. The average hourly wage is AU$34 per hour. Bonus potential can exceed AU$1,200 in additional income. In New Zealand, the substance abuse counselors earn more than NZ$60,000 annually plus another NZ$1,000 or more in bonus income. Those who are paid an hourly wage see average earnings of NZ$29 per hour. Those beginning their careers can expect an average starting salary of nearly NZ$43,000 compared to senior level professionals who average about NZ$72,000 in annual pay. Substance abuse counselors in India see yearly income reach Rs372,000 plus more than Rs6,000 in bonus pay. Hourly wage earners receive Rs179 per hour. Newly trained substance abuse counselors earn about Rs268,000 annually, increasing with experience to about Rs449,000 per year for senior level professionals. As a substance abuse counselor in South Africa, the average annual salary can approach R192,000 with an additional R3,000 or more in bonus income potential. The average hourly wage is R92 per hour. The average starting salary for entry level positions exceeds R137,000 while senior level pay can reach R230,000 per year. Professional experience can add to overall earning potential as those in senior level positions earn between 67% and 68% more than those at the entry level beginning their careers. For example, in the US, the difference between senior level and entry level pay is $23,000 per year, representing an increase of 68%. While annual earnings in India are among the lowest worldwide, senior level professionals earn Rs181,000 more than newly trained substance abuse counselors. Australia sees some of the highest annual earnings, and experience can further increase pay with the most experience substance abuse counselors earning $34,000 per year more than their entry level counterparts, a growth of 67%. Substance abuse counselors work in hospitals, rehabilitation facilities, prisons, and private practice. Some of these facilities are nonprofit or public funded, meaning they may offer lower earning potential and fewer opportunities for bonus pay compared to for-profit hospitals and private practice. Those who work in this field generally have high job satisfaction that comes from helping those in need, yet there can be times of stress. Most substance abuse counselors work full-time hours that typically range Monday through Friday during normal business hours. Some evening and weekend appointments may be offered to accommodate patient availability. Those who work in hospitals where 24-hour care is provided may need to work shifts that span additional hours in the evenings and weekends. On-call hours may also be required. Benefits packages for substance abuse counselors often include healthcare coverage and paid time off for vacation and holidays. Some employers also offer retirement plans and allowances for commuting, meals, training, and membership to professional organizations. Those who are self-employed must cover these types of expenses on their own. Bonus potential is also available through some employers. The addiction crisis has resulted in very fast growth in the need for substance abuse counselors as the US Bureau of Labor Statistics estimates a growth rate of 20% through 2024. To work as a substance abuse counselor, an undergraduate degree followed by a master’s degree is required. Those with a PhD may be more competitive for certain positions and have higher earning potential. Most areas also require licensure to practice as a mental health professional. For the level of education required to practice as a substance abuse counselor, earnings are lower in comparison to some other healthcare positions with the same educational requirements; however, those who work in this career field often enjoy their work. Benefits and bonus packages are available. Future need for trained substance abuse counselors is expected to remain strong with growth at a much faster than average rate.